Yes me too! And I hope, they might appear in “MOTH FLIGHT’S VISION”. I think Gray Wing will end up with Fern! 1) Tall Shadow is my 2nd favourite character of all time in warriors. Will she get a PoV in Book 6? 3) Is Dust Muzzle Duststar from Code of the Clans? o.e Would feature him perfectly to be honest! Also, Holly could be Hollystar, no? 4) Who is Rainswept Flowers mother? I was wondering about it when I read Quiet Rain asking so much about Rainswept Flower – did Rainswept Flower’s mother die and Quiet Rain fed her and was her foster mother? It would make sense as Quiet Rain’s sons are really close to her! I do not ship Star Flower and Clear Sky. At all, whatsoever. I do hope we get to see kits from Slate and Gray Wing! And I hope Lightning Tail gets a mate! Sometimes I just feel he and Gray Wing have the most common sense. I also like Thunder and Acorn Fur together! P.s Can we have a Path of Stars spoiler? Hey Kate, in The Forest Divided it was said that Milkweed had a kit named Bramble who died because she was sickly. So I was just wondering, what is Bramble’s description? In my imagination, she looked like her mother. Can it be confirmed please? 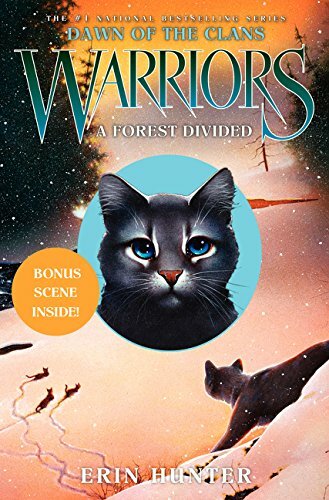 This has nothing to do with DOTC, but Kate, can you please tell us which book in the 6th series SkyClan will be in? I think they will be in the first or second.